For those of you who are new to landscaping, "espalier" refers to the training of a plant or tree to grow flat against a wall or other vertical surface. 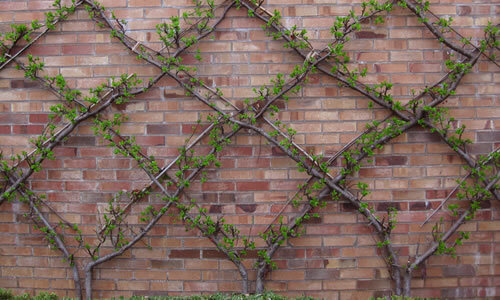 Espalier has considerable merit in todays landscape design. The practice was originally used in the old world to conserve space in small orchards and gardens. Today, espaliers are mostly used for introducing a decorative accent in the landscape, and many, many types of shrubs, trees, vines and other plants can be useful as espalier. An espalier becomes a living sculpture in the garden. You can use espaliered plants and trees to cover unsightly or boring windowless walls. 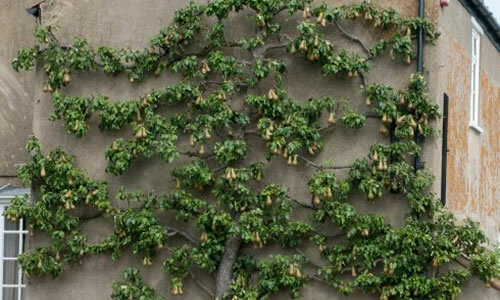 Espalier can bring an otherwise boring wall to life, as a "living wall." Espalier plants are often used by landscape designers in home or building foundation plantings between widely spaced windows to add height in the foundation planting. They can also be used in tight, confined areas where spreading shrubs or trees cannot be effectively maintained to stay within the confines. When planting an espalier against a wall or other vertical surface, the root ball of a plant should be planted as closely to a wall as is possible while allowing some soil space for roots to grow between the root ball and the foundation of the structure (if applicable). Lean plant towards wall when planting. Note: When planting an espalier against a wall of a home or building, where there is an eave or overhang, make sure the hole is dug just outside the eave or overhang so that the plants roots will receive natural water from rainfall. Many espalier plants or trees require no support at all. When planting these, just lean them to grow up against the wall. If support is needed or desired, any number of materials can be used. If the wall is constructed of a suitable material, the plant can be trained directly on the wall. If not, a trellis or wire structure can be used for support. 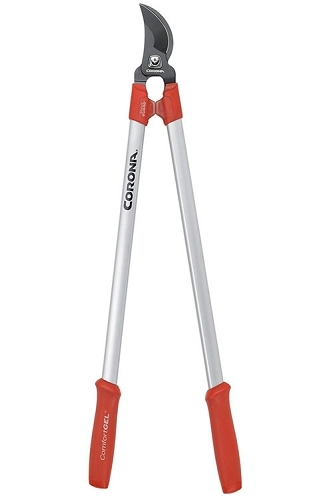 There are several hardware items useful for attaching the branches of plants or trees to walls. For masonry walls, u-bolts, eye bolts, and eye screws are helpful. Often, branches can be anchored by using expandable lead shields, or plastic plugs in the mortar joints. Various types of anchoring devices may be available or can be ordered from your local nursery and garden center or hardware store. Regarding pruning a of an espalier plant, if you start with an unpruned plant, be sure to plant it far enough away from the base of the wall, and prune sparingly until the plant becomes established. Then, regular pruning and training as desired can be accomplished. The secret of satisfactory results with espalier is to begin with a younger plant or tree that has several well balanced limbs off of the main trunk. There are numerous patterns from which to select. These range from the formal checker-board patterns to the simple informal natural growth spread. Almost any design can be worked out with proper pruning. Remember though, the simpler the design, the easier the maintenance. To maintain an espalier, remove all stray branches that are growing out too far from the flat wall surface and beyond the boundaries of the desired pattern and shape. Pruning and the occasional tying of new shoots to the surface of the wall are the main maintenance jobs. Most major pruning should be done while the plant is dormant, or if it is a flowering plant, be sure to prune in the appropriate season. 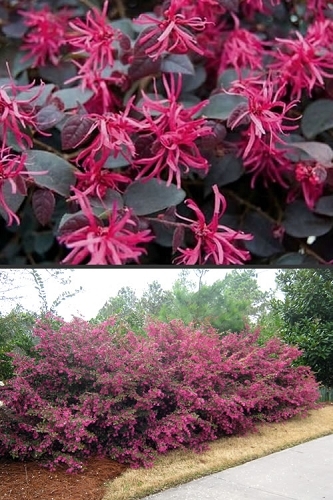 With the exception of crape myrtle, which should be pruned in late winter or early spring, most flowering shrubs and trees, especially spring flowering shrubs, should be pruned just after they bloom. Remember that pruning stimulates more growth. 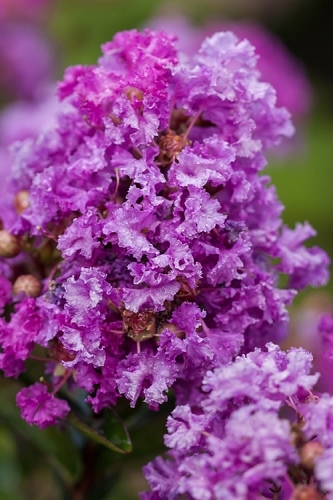 Therefore, to avoid damage of tender new growth from an early frost, cease pruning ornamental plants two months prior to the average first-frost date in your area. Once established, the espalier tree or shrub requires only a small amount of maintenance each season, yet it contributes year-round distinction to the garden. A plant which has been espaliered correctly is a real work of art. Patience, skill, and creativeness is necessary for a successful project. 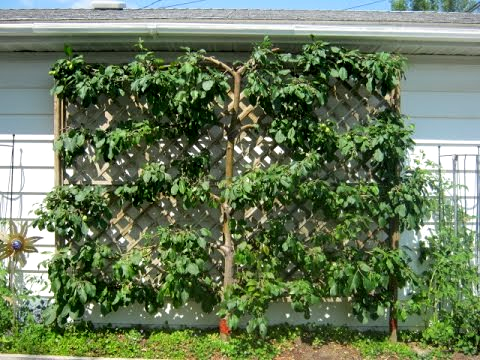 Espalier has a great deal of ornamental value - few garden scenes are more stunning than a blooming apple or pear tree growing against a brick wall - but its also an effective technique for producing an ample crop of fruit in a small space. In other words, you don't need an orchard to grow apple trees. A sunny wall, a special pruning technique, and patience are all you need to espalier an apple tree. To encourage substantial fruit production, prune with two objectives in mind. First, train the tree to the classic flattened, horizontal shape of espalier. Second, encourage the growth of short fruiting stems, or spurs, that will ultimately produce apples. 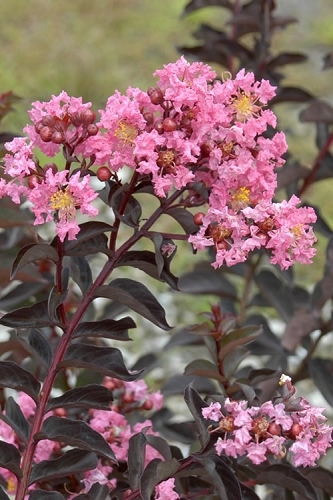 Start with a tree that has been grafted onto dwarf rootstock. All commercial apple and pear trees are grafted onto roots from selected hardy apple trees. Some rootstock is dwarfing and will produce small trees. Other rootstock produces full-size trees. If you espalier a full-size tree, it will have much thicker, heavier trunks and branches. 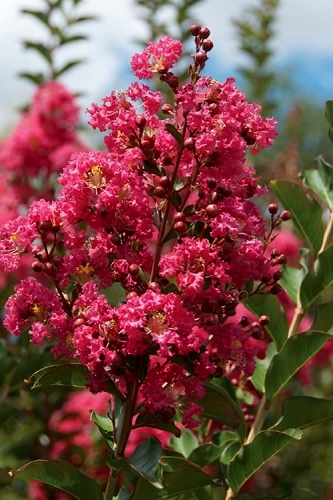 You will begin with a 2 to 3 foot sapling, or whip, that is still very pliable and has not yet grown any side branches. 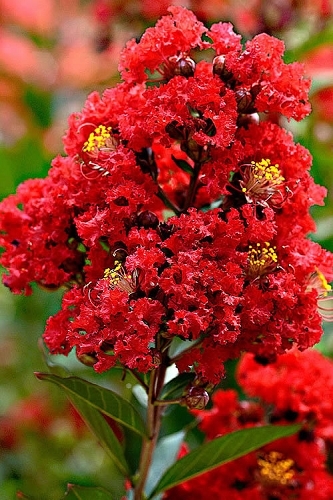 It can be planted against a wall or a fence or sturdy trellis. The wall will have an added advantage of absorbing heat to hasten ripening. Keep in mind that to train an apple or pear tree as an espalier it takes time, and that means patience. But you wont spend but a fraction of the time as some do on a bonsai! String three to four rows of galvanized wire horizontally on the wall or trellis, about 2 feet apart. Plant the 3-4 foot tall fruit tree (whip) in the middle of the structure. Find the lowest bud on the whip and prune off all the wood above it. That bud should be about 2 feet from the base of the tree (whip) and coincide with the lowest wire. Lateral branches will begin to grow out and away from the cut. Tie one end of a bamboo cane to the first horizontal wire and the other end to the first young branch that grows out from where your cut was made. Pull the branch down toward the wire - training it to grow along the wire. 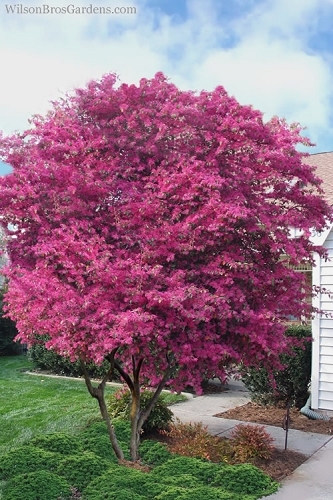 It usually takes two growing seasons to get branches to grow at right angles to the main vertical trunk. In the meantime, the whip will continue to grow upward from the original bud you located when you made the first cut. Let it grow to the second horizontal wire and again make a cut above a bud. When lateral branches grow from that point, repeat the process of attaching them to the horizontal wires. A typical espalier is 6 to 8 feet tall, with three to four sets of horizontal branches. Your goal is to keep the tree in bounds. Fruit yields will be proportionately much greater from an espalier than from a full-size tree as their wont be nearly as many branches to use up all the trees energy. It generally takes five to seven years to create a completed espalier structure and harvest fruit. Until that time, prune out any developing fruit. Your goal in the first few years is to encourage the tree to put all of its energy into growing branches that establish the basic framework. Once that happens, all future pruning is to encourage fruit production. Apples or pears on all trees, whether espalier or not, are borne on short stems called spurs. As buds and new shoots form along a lateral branch, prune them back to a point close to the branch where five leaves cluster around the stem. This encourages the buds on the bottom half of the lateral branch to produce fruit. This pruning will also remove the end buds that are more likely to produce leaves and stems. 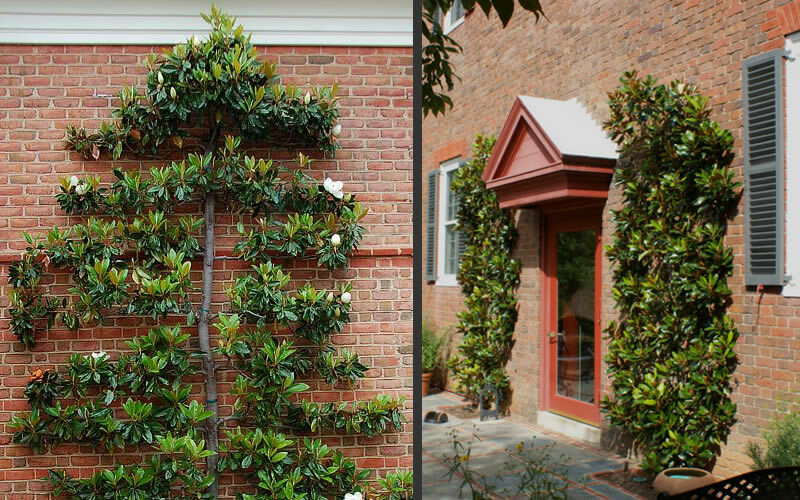 Where to Plant a Camellia Espalier? 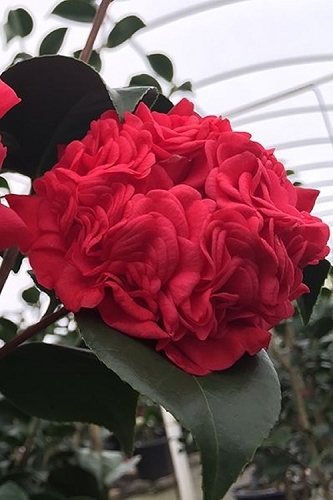 Camellias prefer afternoon shade, and enjoy some protection from cold winter winds, so plant them on an east or south side wall of a home or structure. How to Attach a Camellia to a Wall? You can use a trellis for support however, keep in mind that if it's a wooden trellis, it may eventually rot. Metal, steel or PVC trellises are recommended. 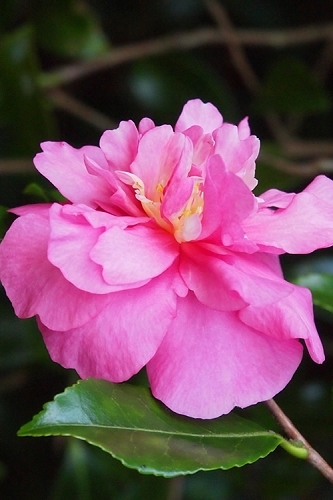 Many camellias can grow taller than 10 feet in height. 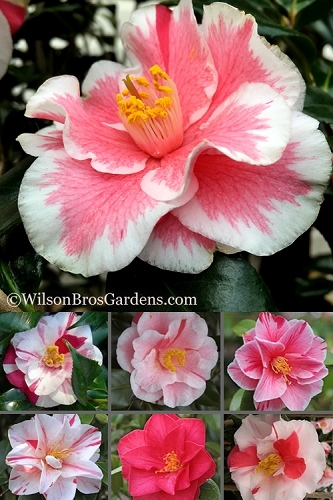 Keep this in mind to determine what size camellia and what size trellis will be needed to fill the space. If you are not using a trellis, as your camellia plant grows taller against the wall, the branches will need to be attached and secured with some sort of clips and ties. If you want to create a geometrical pattern, or symmetrically spaced rows, you can run a galvanized wire in any shape desired. 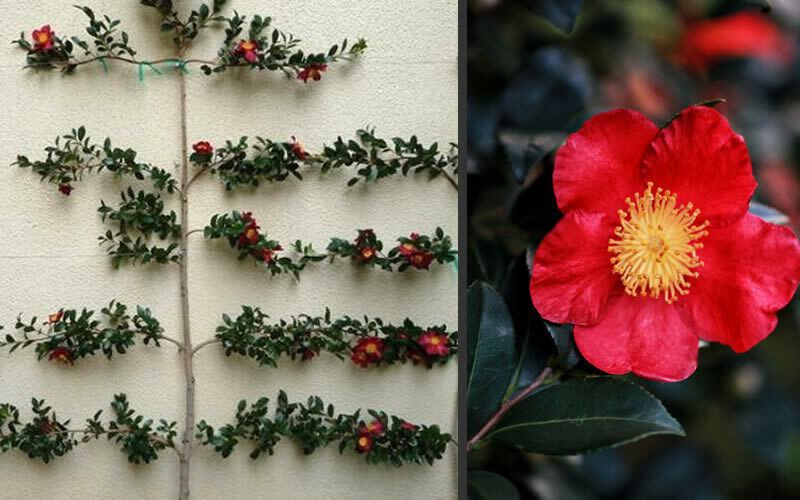 Then, as your camellia grows, simply attach branches to the wire with tie wire. When not using wires or a trellis, branches can also be attached directly to a wall using an eye screw anchored into the wall with plastic plugs. Then, using tie wire, attach the branch to the eye screw. Ties are needed about every 8 to 12 inches along branches for more formal designs. Sometimes they might have to be loosened and adjusted as the plant grows. Prune your camellia espalier regularly to achieve the flat, two-dimensional effect which is characteristic of all espaliers, but leave any major pruning until flowering has finished in fall or spring, depending on what type of camellia you are growing. 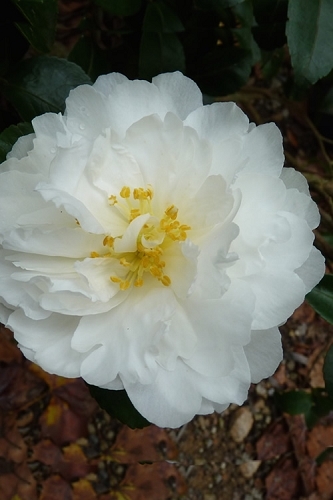 Training a camellia for a formal espalier may take some time and patience, but the end result is fabulous. Just about any medium sized shrub or small growing tree that is known to tolerate somewhat regular to frequent pruning can be used for espalier. Below are some of the more popular types and varieties of sun- loving plants used frequently by designers for espalier. 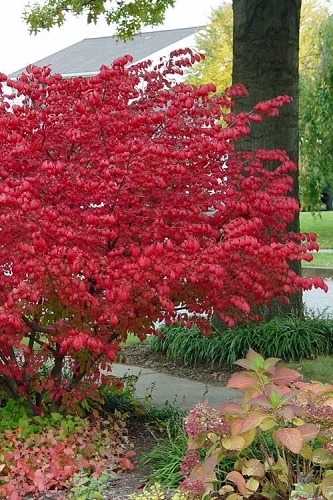 Burning Bush (Euonymus alatus): No support necessary. Flowering Quince (Chaenomeles): Minor hardware attachments may be needed. Yellow Bells (Forsythia): Minor support needed for smaller barnches. Burford Holly: No support necesary. Weeping Yaupon Holly: No support necessary. Minor attachment is suggested to train upright and hold against wall. 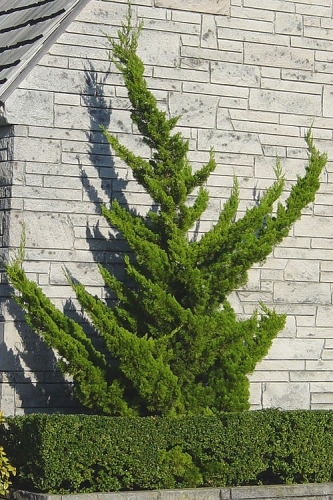 Juniper (Upright): Torulosa a/k/a Hollywood Juniper is great for espalier - No support necessary. Magnolia Little Gem: No support necessary. Minor attachment hardware may be necessary to train and hold against wall. Tulip Trees /Japanese Magnolias: No support necessary. Minor attachment hardware may be necessary to train and hold against wall. Apple, Crabapple, Pear: No support necessary. Attachment hardware is necessary to train brances in geometrical patterns against a wall. Heavy duty tellis structure is necessary to create live wall partitions. Redbud Tree: Usually no support necessary. 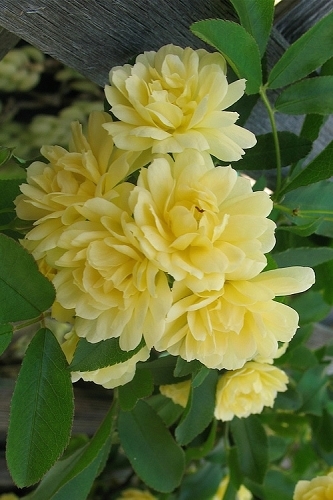 Roses (Climbing): Support or attachment hardware will be necessary. 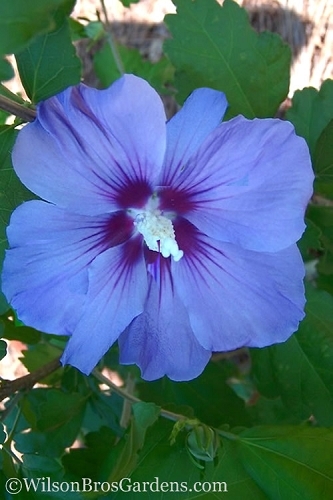 Rose of Sharon (Althea): Hardware is necessary to train against wall. Yew (Podocarpus): Attachment hardware may be necessary to train and hold against wall. Viburnums (Tall varieties): No support necessary. Attachment hardware may be necessary to train and hold against wall. Jasmine Vines: Must be supported by a trellis, lattice, or wire structure. Honeysuckle Vines: Must be supported by a trellis, lattice, or wire structure. Other Vines: Support in the form of a trellis, lattice or wire is necessary. 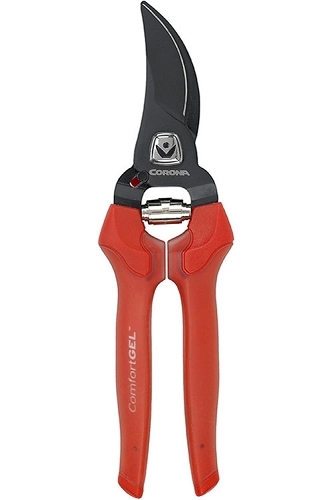 For larger vines such as wisteria attachment hardware is necessary. 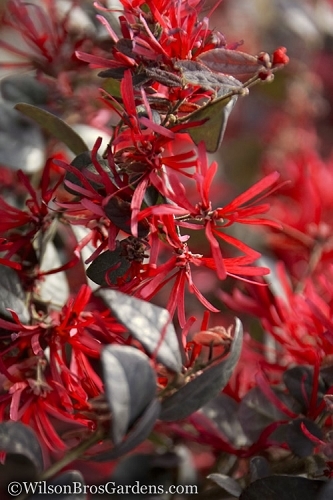 Anise Shrubs (Illicium): Support not necessary. Attachment hardware is necessary to train branches in patterns and hold against wall. 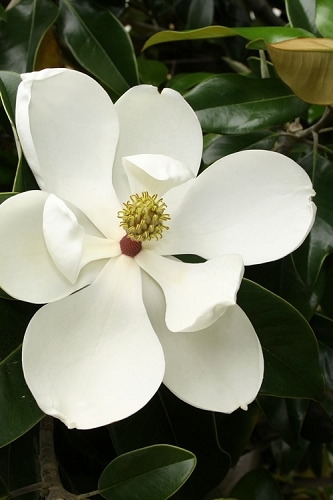 Camellias: Hardware is necessary to attach smaller branches to surface or support structure. Creeping Fig (Ficus pumila): A climbing clinger that needs no support. Ivy (Hedera helix):Clinging vine attaches itself to stucco, brick, or stone walls. 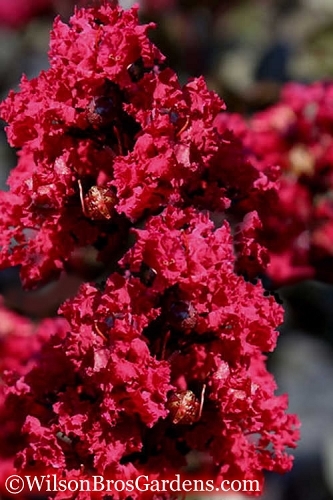 Pyracantha: Support or attachment hardware is necessary to train branches in patterns and hold against wall. Redbud Tree: No support necessary. Dogwood Trees: No support necessary.